Chip and Joanna Gaines' love story is more breathtaking than any of the homes they've flipped. 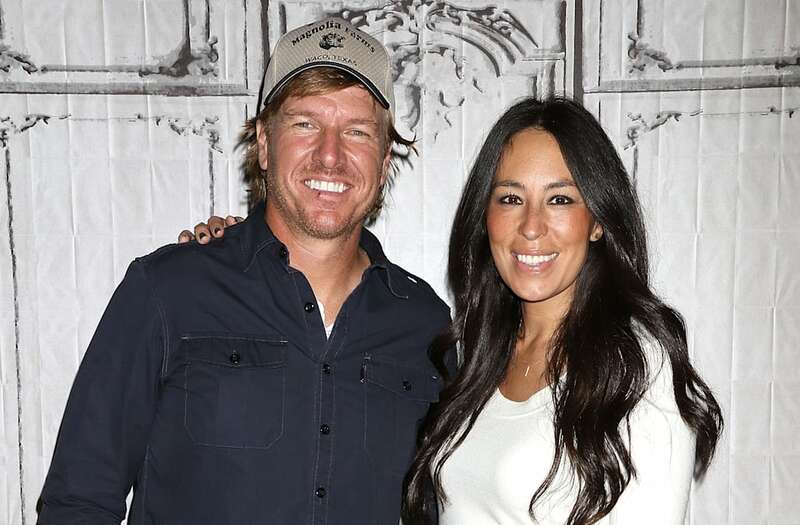 The stars of the hit HGTV show "Fixer Upper" have won viewers over with their stunning home renovations, Chip's corny jokes and most importantly, the undeniable love they have for each other. They both attended Baylor University -- where Jo majored in communications with the dream of becoming a broadcast journalist and Chip flipped his first house -- but they actually didn't meet in school. In fact, Chip had yet to officially meet Jo before deciding she was going to be his future wife. You see, Jo's father owned a tire shop in Waco, Texas, and so she became somewhat of a hometown celeb after appearing in commercials for his business. "Her dad made the mistake of putting a pic of the family behind the counter at his shop," Chip recalled. "I knew I'd marry her one day just by the picture on the wall." And as fans of their show know, Chip is a man of ambition! He frequented the tire store with the hopes of actually meeting Jo in person. "My buddies used to always joke that no one could get their brakes done as often as I got my brakes done," he hilariously revealed. One day, Chip got his chance -- and of course he had the perfect pick up line: "Hey, you're the girl from the commercials." Clearly it scored him a date! Like any normal couple, the pair experienced some growing pains in the beginning of their relationship. Jo was a bit more guarded, while Chip fell in love -- quick. It was her then-boyfriend's sincerity that won her over. "At first, I couldn't believe how kind Chip was -- he had kind eyes, and made me laugh a lot," Joanna gushed. "I knew he was the one because I knew I could trust him." The two tied the knot in 2003 after just nearly over a year of dating. The rest is history! Chip and Jo became the ultimate fixer upper team, and one of the very first projects they worked on was their gorgeous farmhouse that sits on 40 acres of land. In recent years, they've expanded their business empire to include Magnolia Market (where you can find Jo's to-die-for baked goods), Magnolia Homes and Magnolia Reality. They also released a book late last year about their journey titled: "The Magnolia Story." The lovebirds have been married for nearly 14 years (their wedding anniversary is on March 31) and have four adorable children -- Drake, Ella, Duke and Emmie. Check out their gorgeous home in the slideshow above!